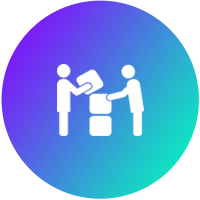 Business processes have been performed in highly repetitive, manual, paper-based workflows. Now, however, all enterprises are demanding fast, flexible and accurate performance. 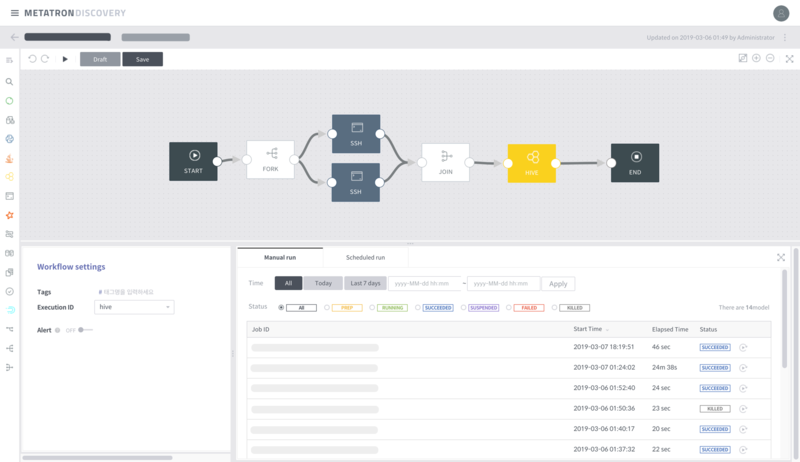 Metatron Integrator, based on the Apache Oozie engine, provides an intuitive workflow editor that enables business users to quickly create workflows, easily manage, run, and schedule them. With built-in graph editor, workflow can be created intuitively. Multiple clusters can be controlled from a single integrator. Use it as an enterprise solution by sharing, copying and monitoring workflows. The execution result of scheduled job can be reported to various channels such as SMS, mail, and messenger. 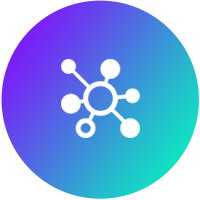 With the Metatron Integrator, you can create your own clustering workflow from scratch without knowing Hadoop. Place the desired task icon on a blank canvas. 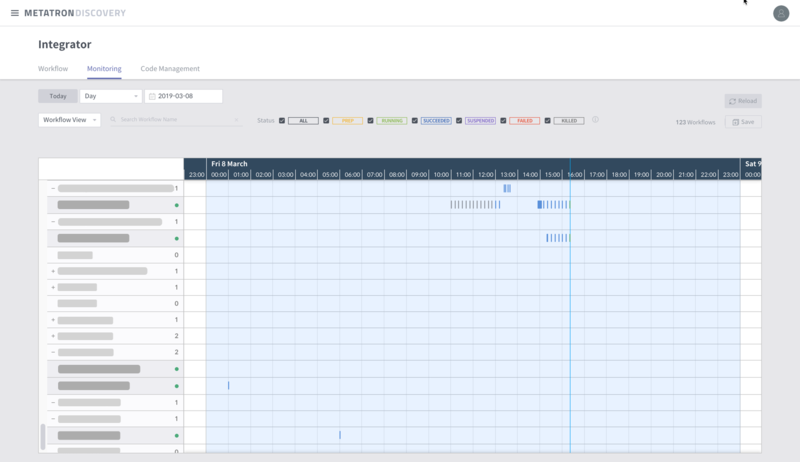 Connect your tasks to your liking and design a workflow that anyone can reuse. With minimal configuration, the workflow will run on its own and will periodically give you the results of the run. 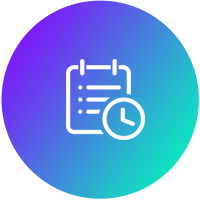 Do you want to run or schedule a crawl as soon as you create it, and receive reports about it? 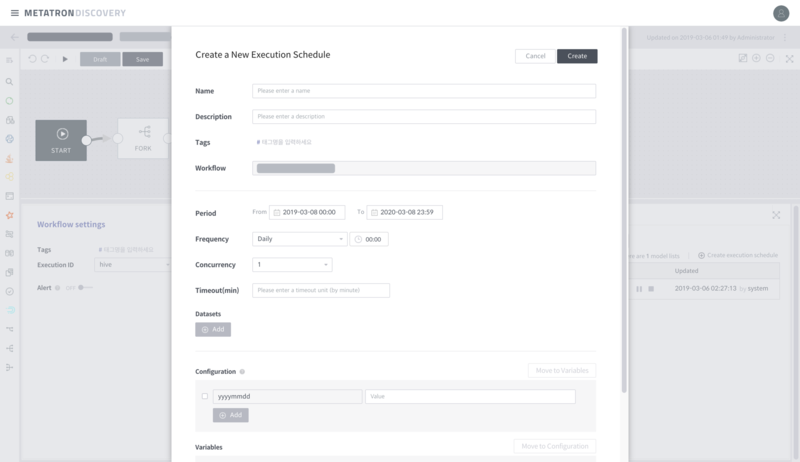 Metatron Integrator provides workflow design, configuration and scheduling in one screen. In addition, the results of the execution can be notified via SMS, instant messenger, e-mail, etc. Schedule as soon as you complete the workflow. It is an easier task than Metatron. 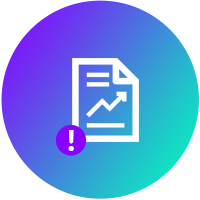 Metatron Integrator provides you with the ability to manage the operation status, time, and schedule information of all workflows created by your team at a glance. Check now to see what jobs are running and how they are scheduled on a timeline. Jobs with status problems can change settings or modify workflows.